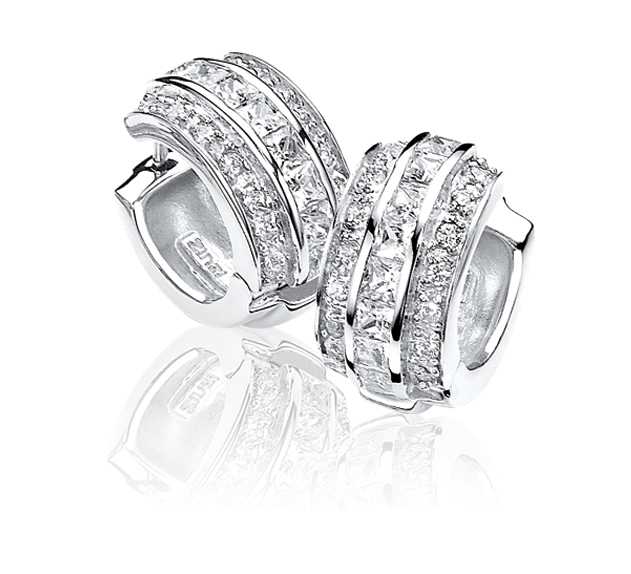 Earrings silver of law 925 thousandths of the brand Zinzi, with zircon square and Zircons of excellent quality. Silver finish gloss and Matt. We deliver in original case of the brand.